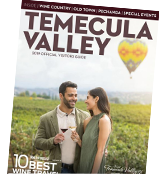 Celebrate the season all around Temecula Valley Southern California Wine Country with our special Chilled-inspired menu eats and treats.This is a perfect way to kick off the holidays and get a taste of Temecula Valley's emerging culinary scene. 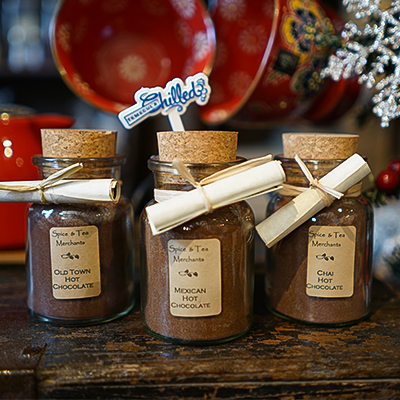 From special cocktails to delightful desserts, you will be sure to find something unique you love this season. 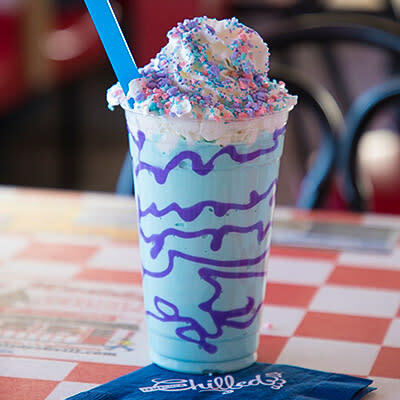 Treat your inner child with a vanilla shake topped with whipped cream, sprinkles, licorice, cotton candy and assorted candies. 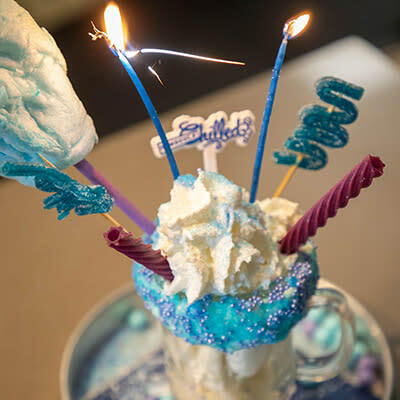 Give your getaway a frosty twist with Mad Madeline’s blue raspberry milkshake served with a purple swirled cup, topped with fluffy whipped cream, and cotton candy crunch! 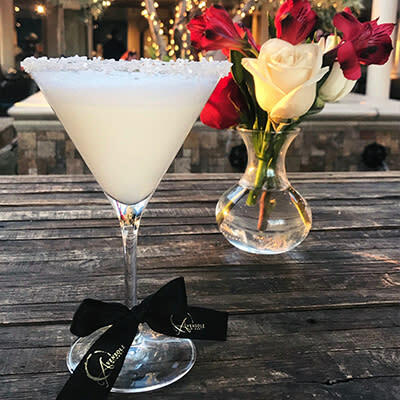 Celebrate the season with this frosty drink crafted with vanilla vodka, creme de cacao, a splash of half & half, and decorated with an edible glitter rim. 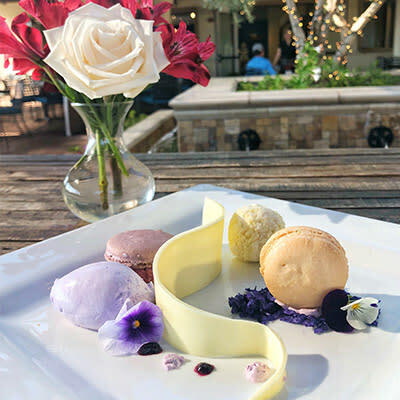 Macaron, lavender ice cream, ricotta white chocolate truffle, sweet potato crumble, white chocolate ganache, blueberry compote, blueberry creme. 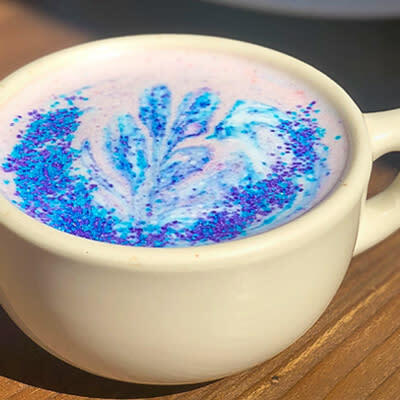 Treat yourself to a smooth raspberry latte that is almost too pretty to drink! 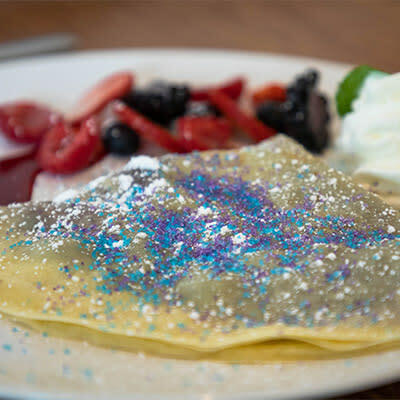 Delight yourself with a French-style crepe, topped with homemade marmalade, served with a cream dollop and chilled sprinkles. 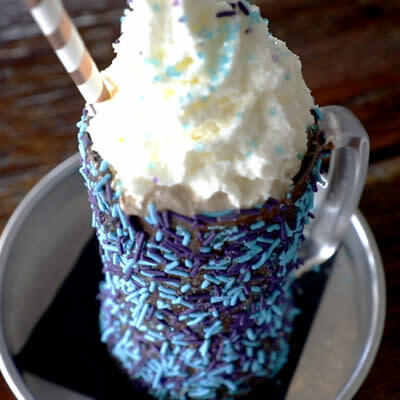 A cold mug dipped in chocolate, bedazzled in chilled sprinkles. The float comes with vanilla bean ice cream and cold Coca Cola! 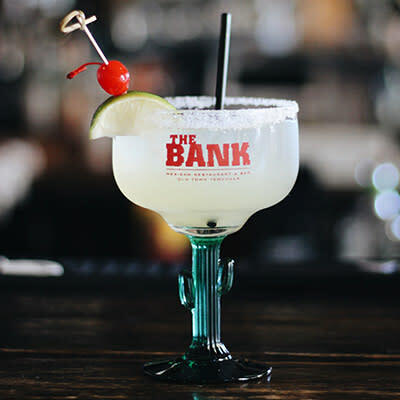 Enjoy a margarita with a twist! 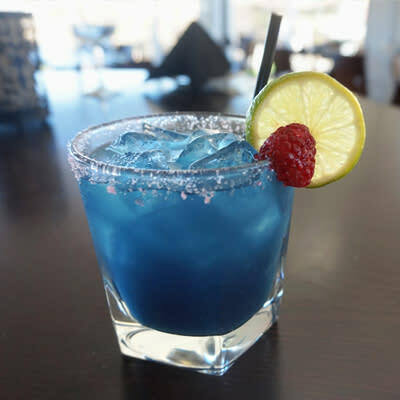 The blue raspberry margarita is made with asombroso tequila, triple sec, blue curacao, raspberry puree, and lime juice. 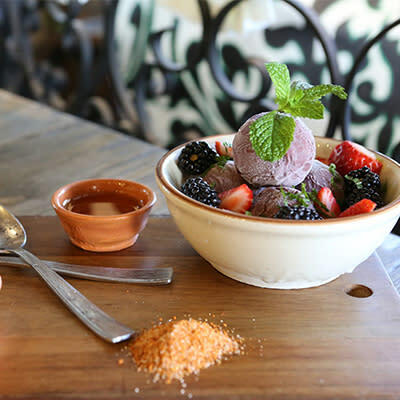 Delight your palate with a delicious and light sorbet with a sweet serrano consommé and seasonal berries. 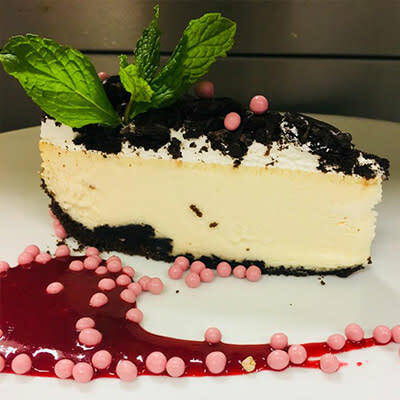 Enchant your taste buds with a slice of chocolate Oreo cheesecake with raspberry sauce, strawberry crispearls and a fresh mint garnish. 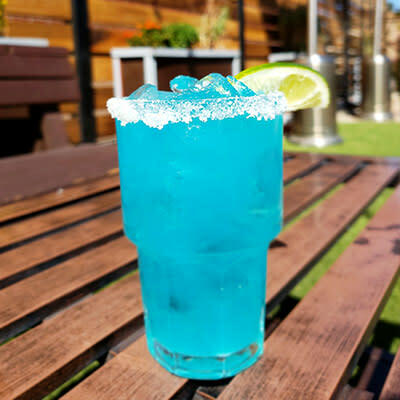 Pair Temecula Valley's winter sunshine with a chilled margarita made with Jose Cuervo Especial, fresh squeezed lime juice, and Blue Curacao simple syrup. 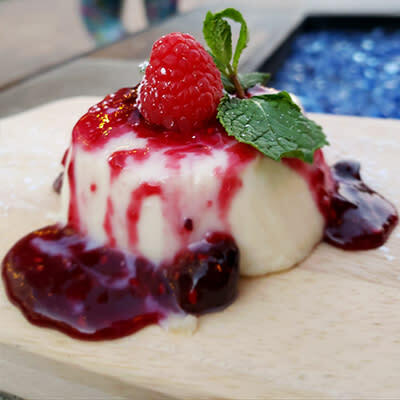 A creamy Italian custard dessert topped with triple berry coulis is a perfect end to any meal! Get a taste of winter's first frost with the frosty grape made with vodka, cranberry Juice, Blue Curacao, grenadine, and a peppermint rim! Celebrate with a gingerbread tart shell, black tapioca pearls, cinnamon nutmeg, and rose cream. 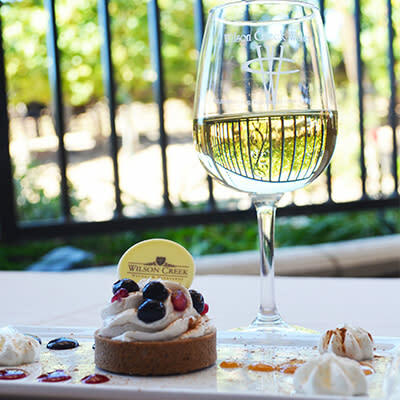 The treat is paired with a glass of 2017 Water Project Riesling. 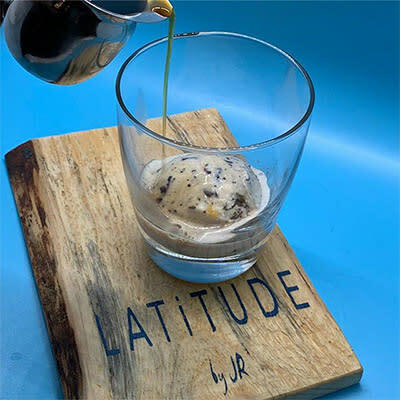 The Affogato is the perfect California blend of hot and cold, 2 scoops of house-made brown sugar chocolate chip ice cream paired with Noble Savage roast coffee from Intazza. Freshly baked snickerdoodle cookies filled with a peanut butter mousse, sprinkled with sea salt and served a la mode! 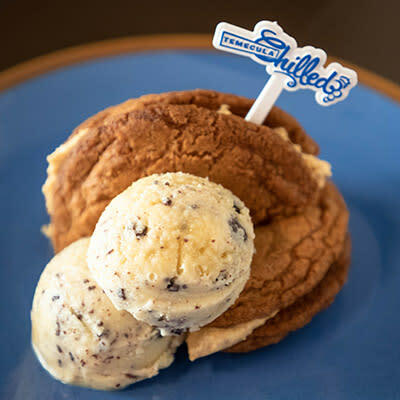 Enjoy delicious house-made chocolate chip vanilla ice cream. 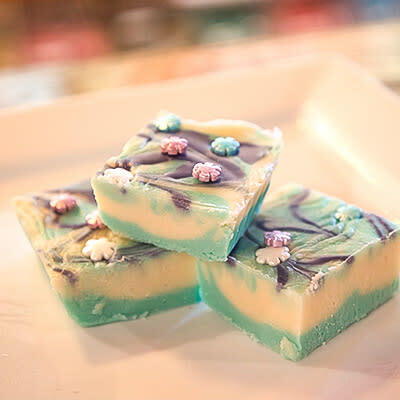 Enjoy a rich and creamy vanilla fudge swirled with mint and topped with magical snowflakes. Available by the square or pound! 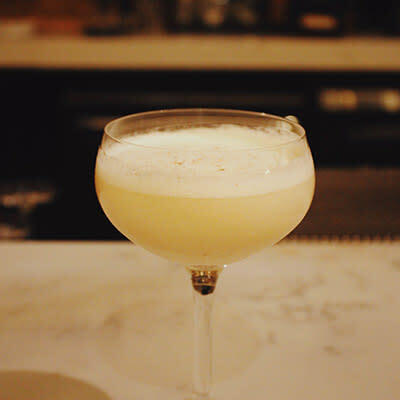 The Sangio Sour is made with Templeton, lemon, egg white, and Sangiovese. Make sure to drink it alongside the sea bass ceviche! 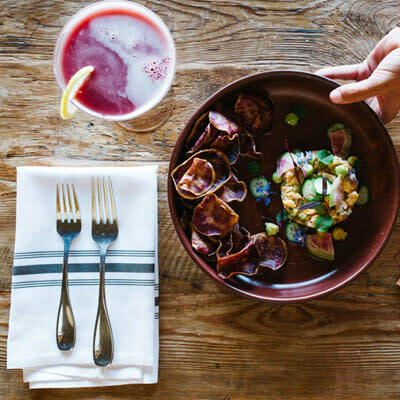 This savory dish is made with cucumber, ahi amarillo, fresno chili, and sweet potato. It is the Sangio Sour's perfect pair! 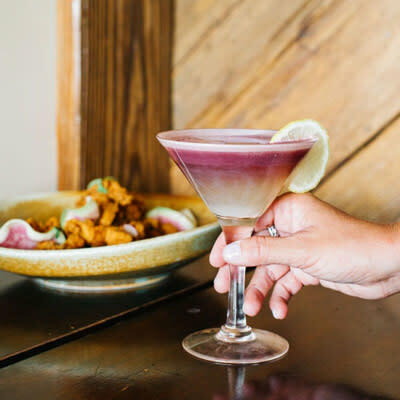 Experience a tropical snow day in a drink with a margarita made with 1800 Coconut Tequila, Triple Sec, Pineapple Juice, and Agave Nectar served in a blueberry sugar rimmed glass. 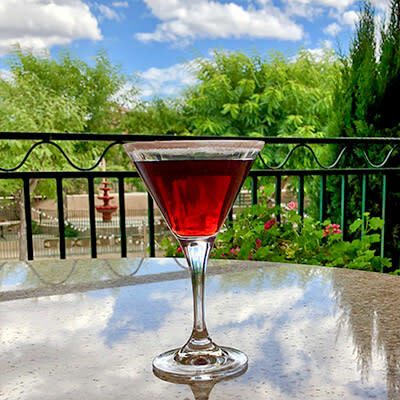 Toast to the holidays with a hibiscus ginger sparkler made with Cougar bubbly and hibiscus ginger syrup. 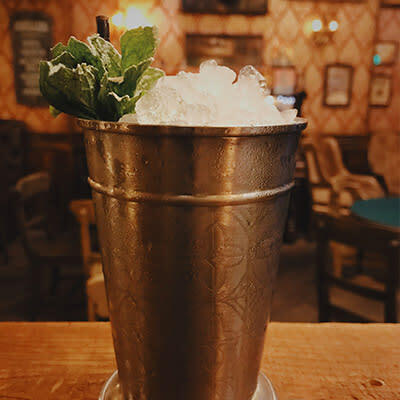 A spirit forward concoction, spicy dry rye whiskey is given an herbal fresh edge with muddle mint and just a touch of sugar for balance. 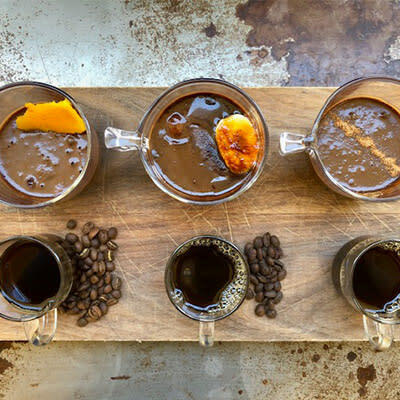 A decadent holiday blend of Cognac, Cream and Crème de Cacao brings flavors of vanilla, chocolate and crème brulee, garnished with fresh grated nutmeg. 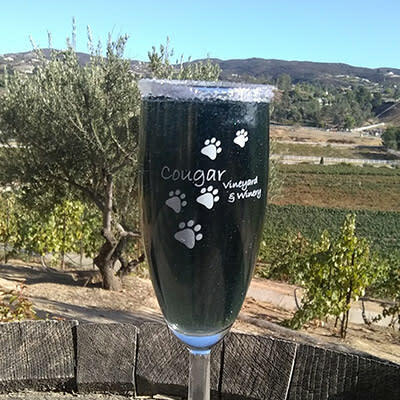 Nothing better than cheering in the Holidays with our Portini. 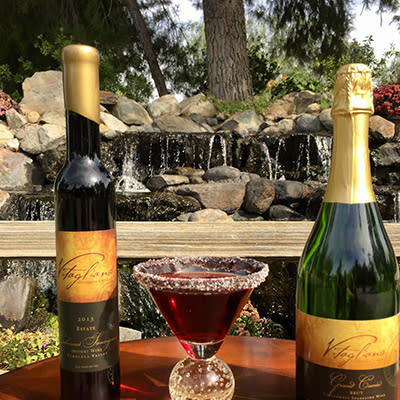 Made with our Dessert Wine and our Grand Cuvee, with a chocolate cup served alongside. 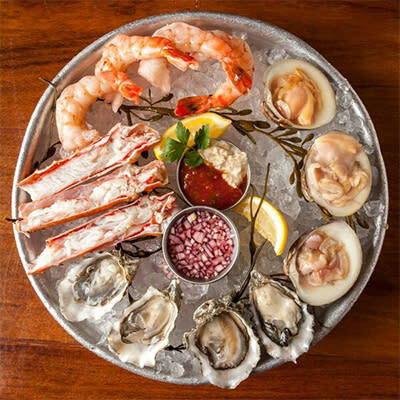 Four oysters, four ponzu scallops, and four shrimp. Flavor is always in season! 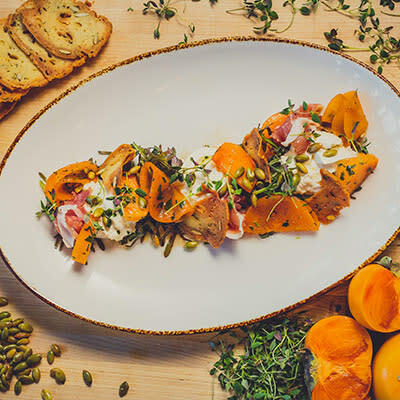 Marinated fuyu persimmons, burrata cheese, country ham, arugula, Thyme & pumpkin seed tuile are tossed together for a seasonal symphony of flavor. 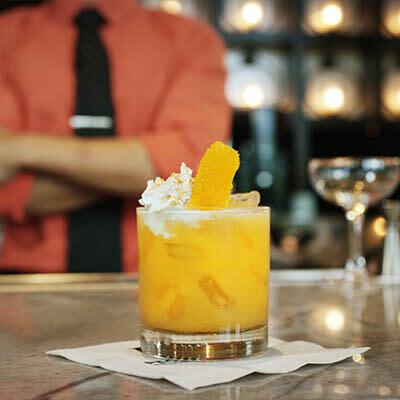 Get your pumpkin spice fix with Pechanga’s new mixologist’s creation. Pumpkin syrup with a special blend of fall spices with apple brandy and a splash of orange juice. 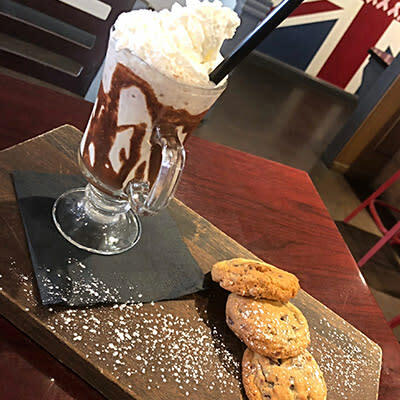 Mudslide milkshake with fresh baked chocolate chip cookies (Can be a nonalcoholic milkshake). 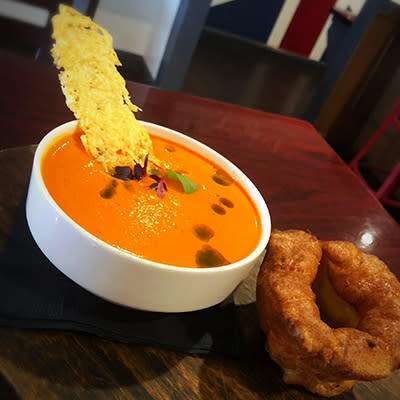 Roasted red pepper soup with basil oil and Parmesan crisp served with Yorkshire pudding. 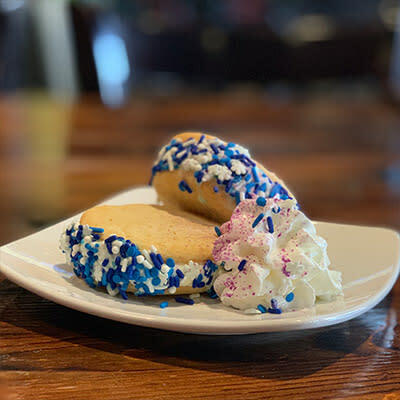 Chilled Gelato Sandwich Fresh baked sugar cookies filled with creamy peppermint gelato with snowflakes sprinkles. 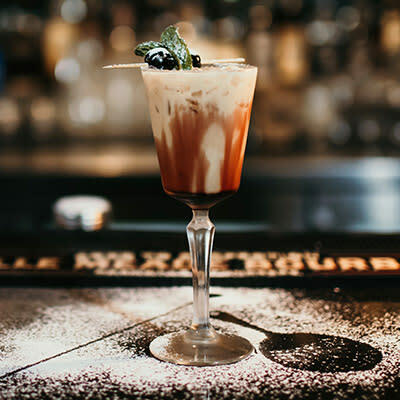 This wonderful libation of Fernet Menta, Allspice Dram, Rum, Egg, Cream and Cherry will make you reminisce of enjoying eggnog with loved ones waiting for Santa's arrival.